This year EPA approved a section 24C approval to use Dermacor X-100 in water-seeded rice in Louisiana. [Click here for a blog post about the registration.] Quite a few producers used this insecticide option in water-seeded rice in Louisiana this season. Mike Stout had extensive research data to support the efficacy of Dermacor in water-seeded rice, but I felt it would be good to verify the activity in commercial fields. 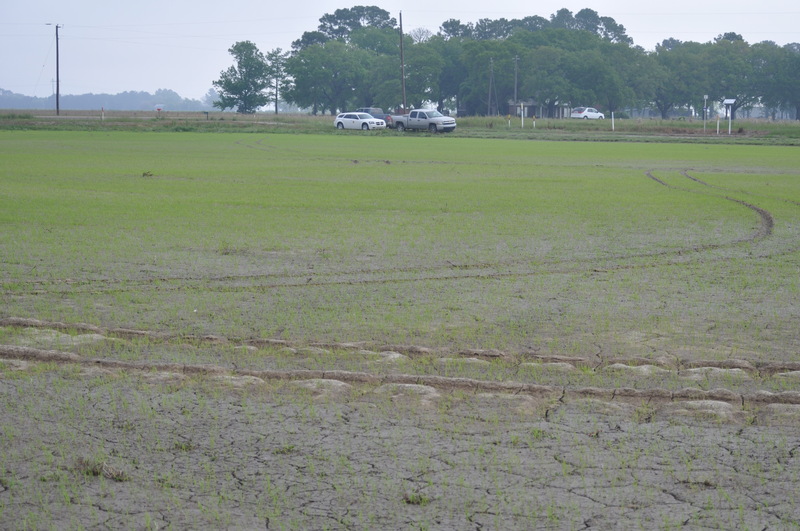 Dr. Saichuk used this treatment option at the Vermilion Parish LSU AgCenter rice verification field. According to Johnny, the Dermacor rate was 1.75 oz/A. The variety Cheniere was planted on 4/5/2012 at 120 lbs/A. A true pinpoint flood was applied to the field. Nick Colligan and Stuart Gauthier pulled ten core samples from the field 4 weeks after permanent flood to verify the activity of the insecticide. 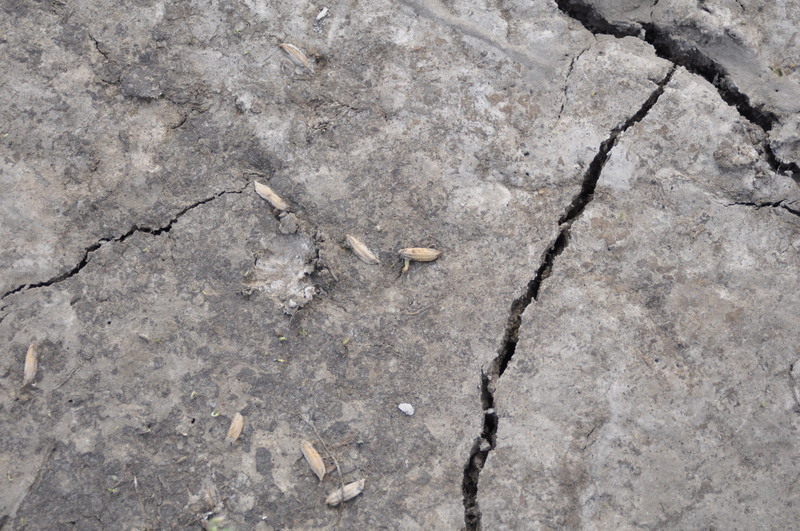 Nick reported that they did not find any rice water weevil larvae in the core samples gathered. On another note, one of the field reps reported that they are starting to see armyworms in vegetable gardens in Grand Chenier. I have not received reports of armyworms in Louisiana rice yet, but it would be good to be on the lookout for this pest. If you treated with Dermacor X-100, the rice should be protected from injury, but CruiserMaxx or NipsitInside will not control army worms. Click here to read about armyworms in rice. 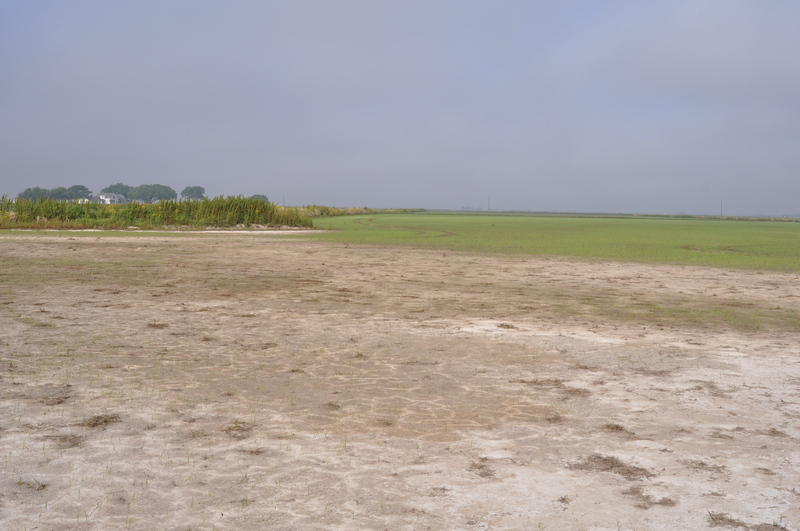 Following all the rain and wet conditions, much of the rice acreage has shifted to water-seeded rice this season. This is particularly the case in southwest Louisiana. Insects problems in water-seeded rice are often very different from in drill-seeded rice, primarily because of the presence of water. Water provides a protection from some early season pests such as chinch bugs, colaspis larvae, and sugarcane beetles. On the other hand, some aquatic insects thrive in water-seeded rice and can cause injury to seedlings. One early season water-seeded rice pest is the rice seed midge. I haven’t had too many calls about seed midge in my time here at LSU AgCenter, but I want to give you a little brush up on the biology of this pest and how to scout for injury. You can learn more about rice seed midge by clicking here. Rice seed midge larvae injure rice seedlings by feeding on the roots and seeds of young seedlings. Begin scouting for seed midges 5 to 7 days after seeding the field. Look for hollow seeds and chewing marks on the seed, roots, or seedlings. If you confirm rice seed midge in a field causing injury, please shoot me an email. I’d like to get some better field shots of the injury and close-ups of this insect. Rice Seed Midge - Chironomus spp. The larvae develop through four instars before pupating under water in tubes. The life cycle from egg to adult requires one to two weeks. 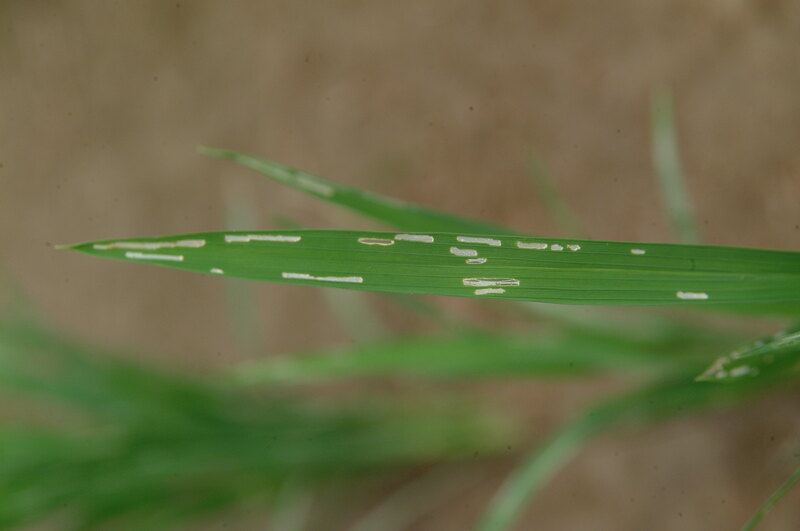 Larvae injure rice by feeding on the embryo of germinating seeds or on developing roots and seeds of very young seedlings. Midge injury is indicated by the presence of chewing marks on the seed, roots and shoots and by the presence of hollow seeds. Midge injury occurs in water-seeded rice and is usually not important once seedlings are several inches tall. Photo by J. Saichuk. You can avoid rice seed midge injury by not holding water for more than 2 to 3 days before seeding. Pre-sprouting seed and avoiding planting in cool weather can also result in fast growth of the seedlings, decreasing the chance for injury by rice seed midge. Yesterday, County Agent Stuart Gauthier pulled core samples at the test site farmed by Alden Horton. Alden wanted to really study the management of rice water weevils in a water-seeded system. In this case, the only option for pesticide management is the use of pyrethroids. The first step was to spend the time to scout properly before and after permanent flood for the presence of rice water weevil adults. Stuart worked closely with Dr. Saichuk, myself and Alden to check the field on a regular basis – at least weekly, but often times more frequently. It was a tough decision to decide on weevil management at this site. Permanent flood was applied on April 23, 2010. We scouted before flood, did not find weevils, so we decided to hold off on spraying. 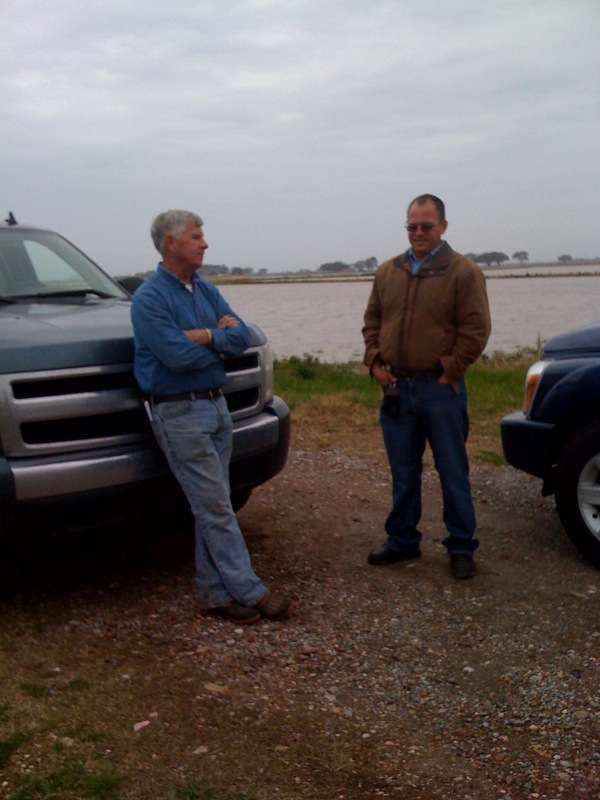 On May 6, 2010, Stuart scouted the fields with Johnny and Alden. At this time, the rice was at mid-tillering and rice water weevil adults (including mating pairs) were found in the field. The population was sparse, but there are often many more that you don’t see. We recommended an application of 2.0 fl oz of KarateZ. 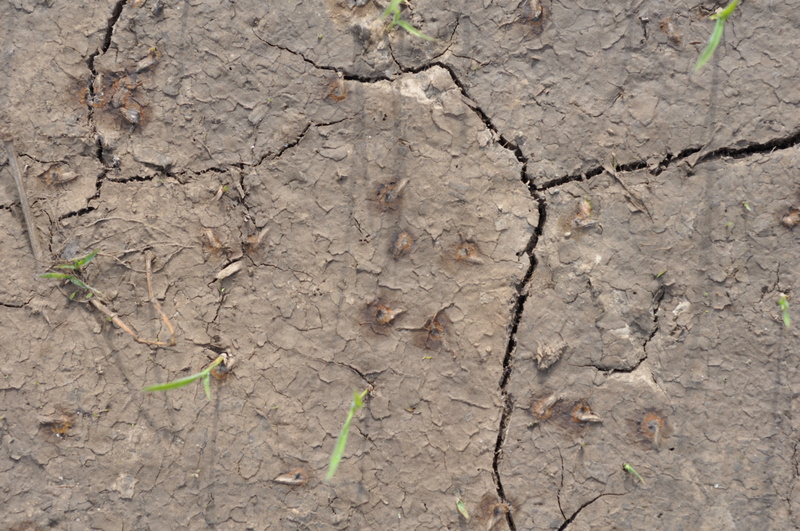 Two small cuts that were separated by levees from the treated fields were left untreated for comparison. We gathered 10 cores per field 4 weeks after permanent flood. This is when you will see a peak in the population. We processed the cores at the rice station yesterday – 10 cores per field – untreated and Karate treated. In the untreated check, the average number of larvae per core was 4.8. By comparison, the Karate treated field had a population of 0.9 larvae per core. Much research has led us to conclude that each larvae can cause 0.5 to 1.5% yield loss. Based on this estimate, we would predict that a yield loss from 2.4 to 7.2% may be experienced at this field site. It appears that a treatment was called for at this location. We’ll let you know how it looks as the season progresses. We will probably have a stop here at the Vermilion Parish rice tour on July 6, 2010. Our sincere thanks go to Mr. Alden Horton for cooperating in this demonstration test. On Friday we met with Stuart Gauthier and Alden Horton to scout for adult rice water weevils at the Vermilion Parish water-seeded test site. This field is making good progress, and has an excellent stand, for the most part. We have a healthy water-seeded stand of rice. One of the high parts of the field had poor emergence due to a combination of dry soil and water mold. Standing in the thin stand of the field and looking to the nicely growing portion. Some of the seeds germinated and then dried-out. The un-emerged seeds, with the dark brown ring around them, were killed by water mold. We visited the field to make a decision about rww insecticide applications. We scouted ten sites in the field for the presence of rice water weevil adults and feeding scars. We did not find any rww adults or feeding scars. The decision at this time was to hold off on an insecticide application and scout again for adults or scarring before the final application of newpath on Friday.